Finnish design bowl designed by Tapio Wirkkala in the sixties. 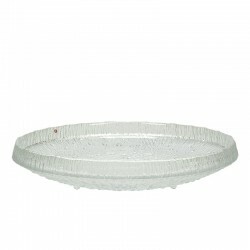 The serving bowl is part of the Ultima Thule series from Iittala and is the largest one. The condition is good, undamaged, see details. The dimensions are 37 cm in diameter and 8 cm high.